Burning Down The House @ Cirkus – is it worth the vodka? Image credit: Connor Thirlwell. Description: Cirkus on George Street. Picture the scene… you’ve spent the whole day in the library, you’re sick of writing notes on spiders’ sexual behaviour, your eyelids are drooping, then somebody suggests to you: “Burning Down the House? Cirkus?” So, reluctantly, you are persuaded to down a double vodka cranberry and consider the prospect of another night out. 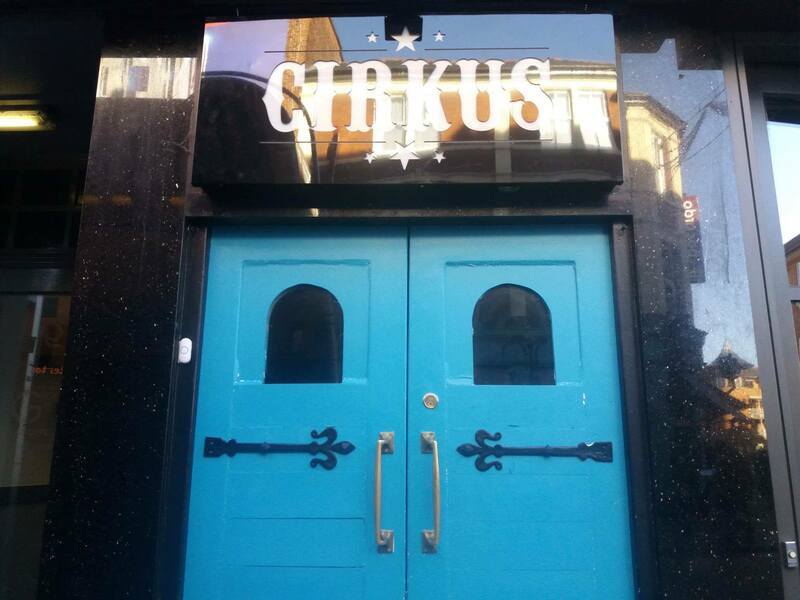 We had yet to hear any good reviews of the new club Cirkus, with words like “tiny”, “just a corridor”, and “why??! ?” flying around. So, with trepidation, we set off to the new venue, only to be met with a colossal unmoving queue. Assuming our worst fears of a disappointing night had been confirmed, we turned tail and headed for Frewin Court where we gained free entry for both Purple Turtle and Cellar, where Burning Down the House had long been since its time at Baby Love on King Edward’s Street. But with a measly 50 person capacity now allowed in the venue, the vibe was just not the same. More reminiscent of a wine cellar than a bangin’ night club! The staff were friendly and helpful with Mike the bouncer being the highlight of our night. The dancefloor was packed but the bar was quick to serve us. The staff were friendly and helpful with Mike the bouncer being the highlight of our night. In his words: “Working there is enjoyable, laid back and pleasant.” The major problem is that the place is too damn small, and if you are in a big group, you won’t fit, and there won’t be room to show off your best moves. The smoking area is also just George Street, and lacks the freedom-feeling of spilling out into Cornmarket Street and nipping next door for a Maccy Dees. Overall, if you’re looking for a night out that’s better than PT, but not as good as the old Cellar, that’s in a convenient location with a good sound system, then Cirkus is the place for you. Thanks to Alex Bragg for clarifying that Burning Down the House was at Baby Love before it came to Cellar.